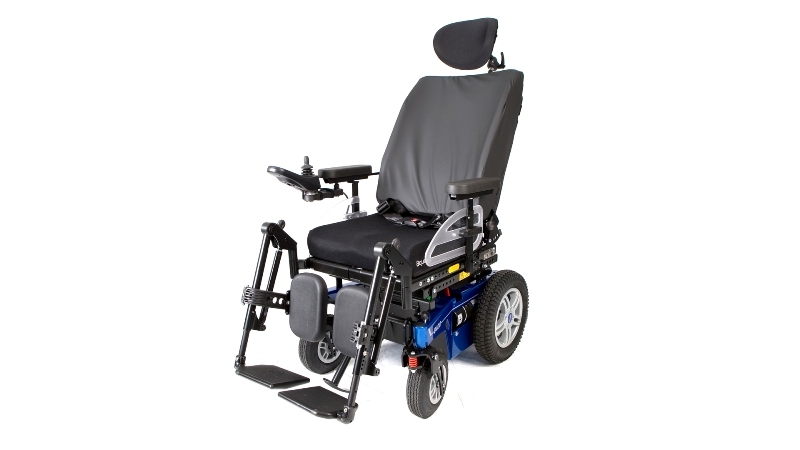 Leading UK wheelchair manufacturer Ottobock, has launched a new power wheelchair designed for people living with motor neurone disease (MND). Working in collaboration with MND Association, the new B400 Neuro Power Wheelchair is compact, comfortable and is designed for use outdoors and inside the home. The chair offers a range of options and features which have been designed based on feedback from wheelchair users. The B400 Neuro Power Wheelchair was developed as part of a MND Association initiative, funded by the Department of Health, to develop wheelchairs better suited to the requirements of people living with MND and other neurological conditions. In addition to being compact enough to fit in the home environment and sturdy enough for outdoor use, the chair has been designed to support accessories and technologies where required and has many options for seating position and cushioning. The Ottobock B400 Neuro Power Wheelchair is now available at wheelchair services across the UK. The wheelchair is tested to twice the ISO standards and comes with a two year manufacturer’s warranty (excluding batteries) on parts and 4 years on the frame. Be the first to comment on "B400 Neuro Power Wheelchair designed in collaboration with the MND Association"